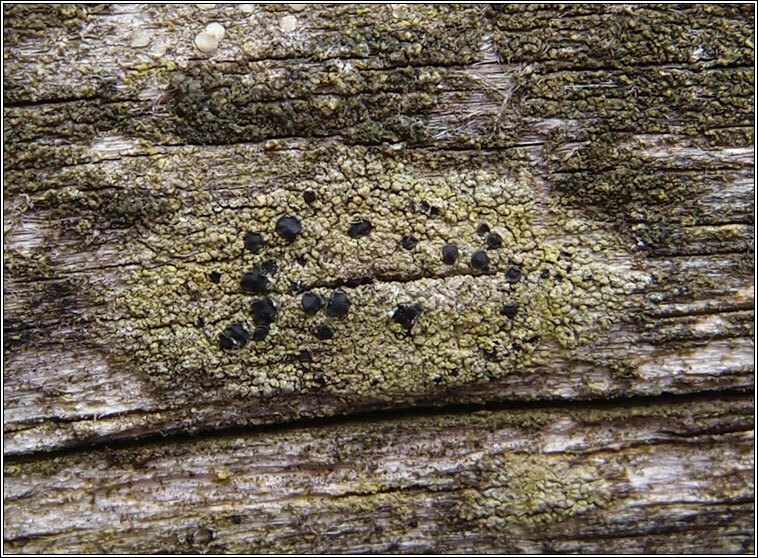 Small circular patches of bright-green to olive-brown warted, often sorediate granules. 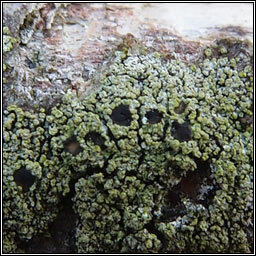 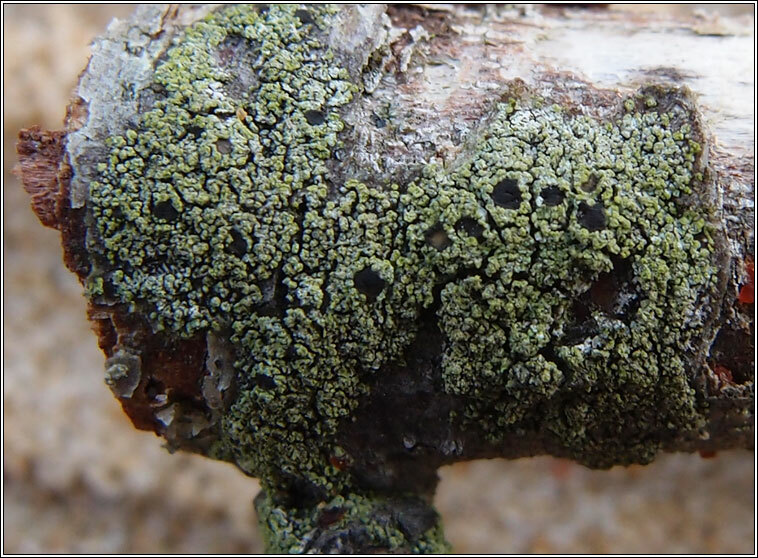 Black or brownish-black apothecia, flat or slightly convex, margins slightly paler. 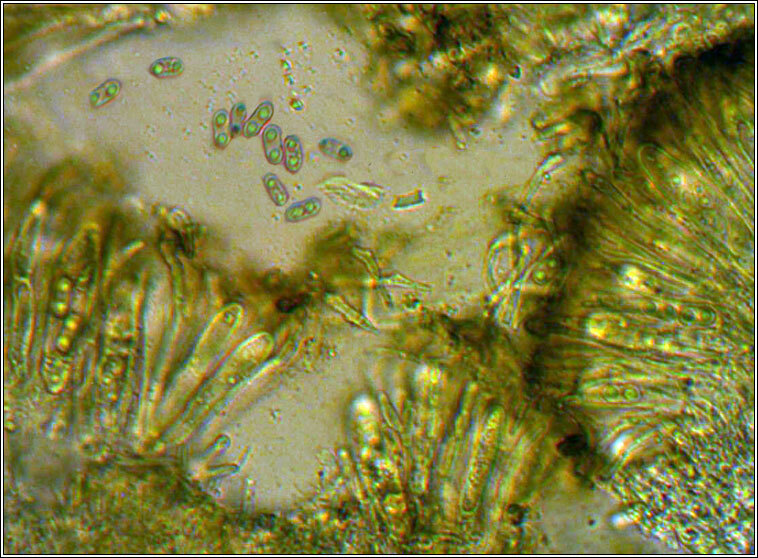 Asci are 8-spored, the spores simple, 8-11 x 3.5-4.5 µm, medianly constricted, sometimes brown when old.